Seating over 90,000 fans, Wembley Stadium is the home of the England National Side as well as a number of sporting events and iconic live music performances. The steel arch situated over the stadium’s North Stand, is visible from across London, becoming part of the London skyline its own right. Designed to give fans the best possible view with no obstructions Wembley Stadium has been described as 'an unbelievable place' by David Beckham and 'absolutely magnificent' by Prince William. With a Wembley hospitality package or ticket, you can experience the atmosphere and true brilliance of Wembley stadium at its finest. Explore our range of Wembley stadium hospitality packages and tickets to get exclusive access to the stadium, with unparalleled views from your plush seats, ready for the action in some of the most anticipated games of the year. One of the biggest fixtures in football The FA Cup Final will return to Wembley Stadium in 2019, get your VIP seats courtesy fo Hospitality Finder. Join us at the Summertime Ball 2018 for an amazing day of music, entertainment and VIP hospitality in the heart of London. Corporate Hospitality guests of Wembley Stadium events can enjoy access to a range of facilities. For example, our Diamond Hospitality offers access to the exclusive Bobby Moore club, while others can enjoy access to Executive Boxes, The Pitch View restaurant, One twenty – the most exclusive club in the stadium, the Centre Circle and the Inner Circle. There is a plethora of hospitality packages available depending on your budget and preferences at Wembley Stadium. Hospitality Finder offers a fabulous range of Wembley hospitality packages, each one combining gourmet dining, exceptional service and unbeatable views. Wembley Stadium Corporate tickets and hospitality are available for a huge variety of events at the stadium. Built in 1923, the original Wembley Stadium was demolished from 2002-2003 to make way for its new and approved successor. The new Wembley Stadium opened in 2007, maintaining its main purpose as a football stadium. The iconic arena hosts some of the most anticipated sporting events in football history including the FA Cup Final and Semi Finals, The Football League Cup Final, The FA Community Shield, The Football League Play-Off Finals and The Rugby Football League Challenge Cup Final, even recently hosting the NFL. Besides football, Wembley Stadium has also become a big name in the music industry. The Stadium’s versatility means that it is capable of holding major concerts and gigs, as well as weddings and conferences. Some of the UK and America’s biggest artists and bands have graced the stage of Wembley Stadium including AC/DC, Ed Sheeran, Green Day, Coldplay, Oasis and Madonna. Alongside these spectacular sporting events. This year we’re hosting some fantastic music events at the stadium. Whether you’re feeling VIP tickets to Bon Jovi, Pink hospitality tickets or the high demand Spice Girls hospitality event, we’ve got the perfect packages for you. Contact our friendly team to reserve your place at these unmissable events. Our Wembley Stadium Hospitality packages offer corporate guests some of the finest forms of entertainment in an exclusive environment. Guests can benefit from unrivalled views of the pitch and watch players showcase their unbelievable skills and talents. Whether you’re looking to impress prospective clients or show your family and friends a good time, a Wembley hospitality package is the best way to provide a day to remember. What will we get access to? The lavish facilities at the iconic Stadium are host to some the world’s most exquisite hospitality events. Guests can experience first-class offerings; fine dining, premium reserved seats, welcome champagne reception, complimentary bar, superb 3-course pre-match meal and special guest appearances by football legends. These are just a small selection of the exclusive offerings that hospitality guests can enjoy. We also offer guests the opportunity to note any extras or special preferences to make your day completely unique. If you have additional requirements, please inform your events manager on booking and we’ll be happy to accommodate your requests as best as we can. Hospitality Finder is committed to providing a reliable, high-quality experience. With a TrustPilot rating of 5 stars, it’s not difficult to see why our customers come back to us for our hospitality events year after year. Check out some of our reviews here. Hospitality Finder is a renowned provider of high-quality corporate hospitality tickets and packages, offering exclusive access to some of the UK’s finest venues and much anticipated annual events. As the fastest growing independent hospitality company in the UK, Hospitality Finder goes the extra mile to ensure guests receive an utterly exclusive experience, for an unforgettable day. No matter how many guests you bring along with you, we love to make each and everyone feel like a VIP. 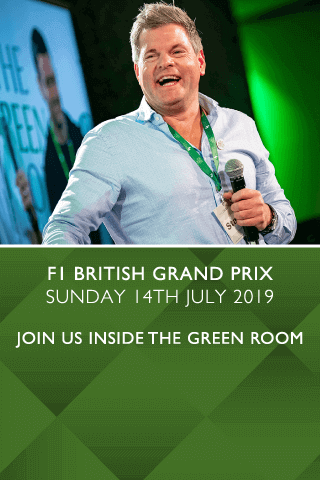 Hospitality Finder is proud to be the official hospitality suppliers to some of the most prestigious British events of the year. Wimbledon hospitality packages, The Six Nations hospitality and The FA Cup Final corporate hospitality events are just a small selection of what’s on the sporting calendar this year. You can expect nothing less than exclusivity, VIP treatment and plush surroundings with a Hospitality Finder package. We don’t just do Wembley hospitality! Explore what else we have to offer; we have a range of other football hospitality packages, rugby corporate hospitality packages, and golf hospitality packages to name a few. From comedy nights, cultural events, theatrical displays or celebrity banquets, we have a diverse range of hospitality tickets and packages awaiting you and your guests. We are proud to offer packages at competitive and affordable prices, attracting the most discerning customers and allowing devout fans to indulge in luxury whilst watching their beloved team, musician or sports star. Send us an enquiry, and our experienced sales team will get in touch with you.